2 Northend Cottages01263 715779work01603 870304fax Self-catering2 Northend Cottages has been lovingly restored with attention to detail, offering delightful accommodation in a peaceful area. This 150 year old cottage has a fully enclosed garden and the added convenience of off road parking. Other: Books & games, radio, hairdryer Towels are available for hire at £5 per person per week, payable on booking. Exterior image of this very pretty end of terrace cottage. 2 Northend Cottages offers weekly bookings starting on Friday. 2 Northend Cottages has been lovingly restored with attention to detail, offering delightful accommodation in a peaceful area. 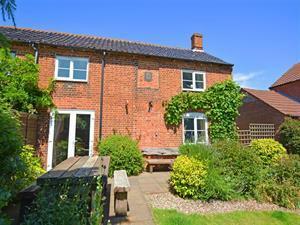 This 150 year old cottage has a fully enclosed garden and the added convenience of off road parking.